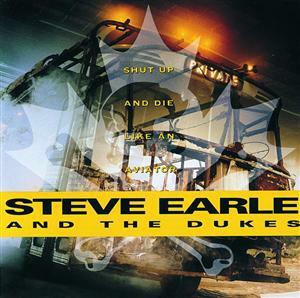 Today’s Cool Album of the Day (#297 in the Series, and #21 in the Live, Saturday Night Series) is Steve Earle and the Dukes, Shut Up and Die Like an Aviator. 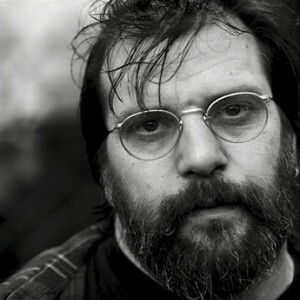 Steve Earle kicked off his career with two “4-Star”- country-rock, Americana, singer-songwriter styled albums. Then he decided to change his band and resurfaced with a bit of a harder sound. That sound was evident on Copperhead Road and also on The Hard Way. This live album was released from recordings of that tour. I loved those first two albums and was quite glad that a good chunk of them are represented here. We needed some good live versions of “Guitar Town, Someday, Good Ol’ Boy (Gettin’ Tough), I Ain’t Ever Satisfied, Fearless Heart” etc. I guess you can say that he didn’t forget the early stuff. Like many good concerts, he also pulls out a couple great encore tunes. I’ve heard many bands use “Dead Flowers,” but it’s the first encore song that really excited me! How ‘bout a rockin’ version of the Sir Douglas Quintet classic, “She’s About a Mover.” Doug Sahm was so darn good! Little did we know that it would be four years from this release until we’d hear again from Steve. Thankfully he left us in good hands. And also thankfully, Steve was in good hands during that time as well. All songs written by Steve Earle unless otherwise noted. See other album from 1991 that we’ve featured. Listen to full album on the ‘Cool Album’ MySpace page.